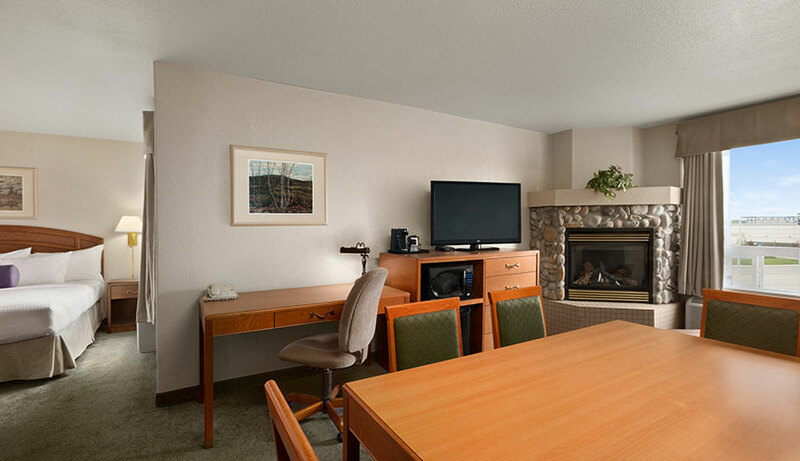 Rest assured, Days Inn Red Deer knows how to accommodation your needs. 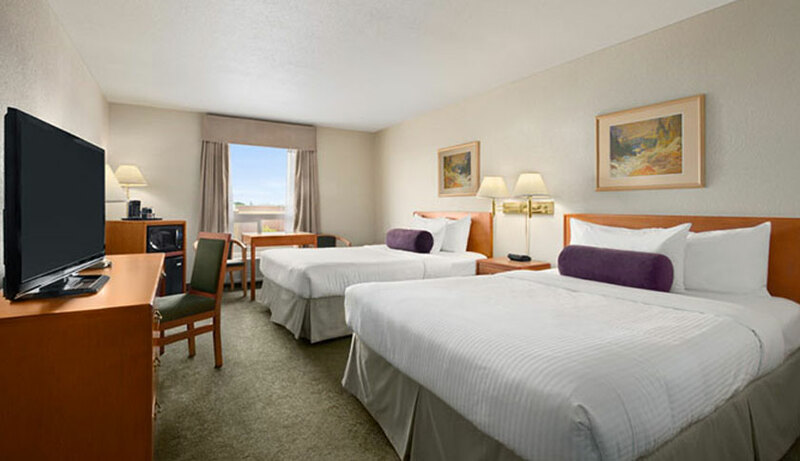 Ideally located near all major highways as well as Westerner Park and shopping at Southpointe Commons, we offer 76 well-appointed hotel rooms and suites equipped with impressive in-suite amenities for your comfort and convenience. 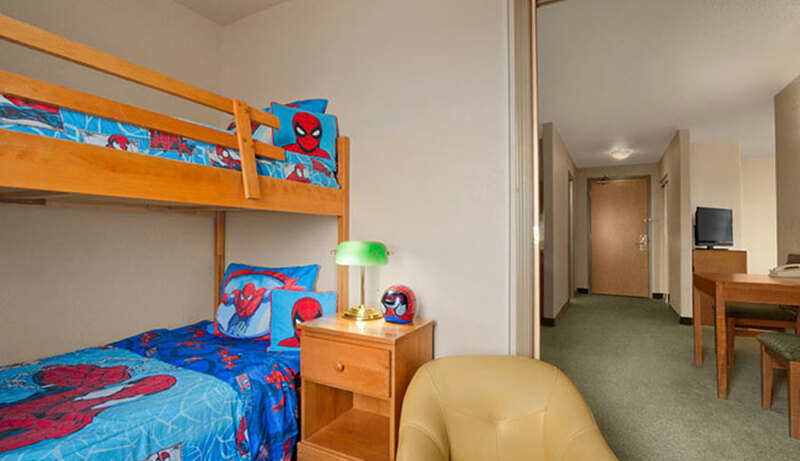 From Classic Rooms to Extended Stay Suites and our kid-inspired SuperHero-themed room, we offer the best selection for Red Deer accommodations and excellent hotel amenities to make your stay memorable. Our professional and friendly staff is always available to assist your during your stay, making us the best place under the sun. 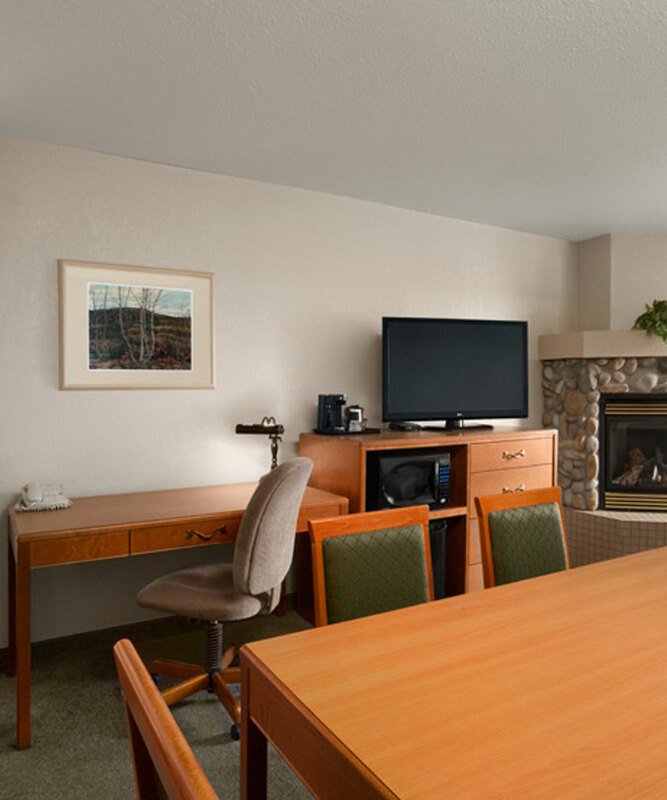 Days Inn Red Deer is also pleased to offer accommodation discounts for groups and teams when you book 10 or more rooms, as well as preferred rates for corporate travellers. 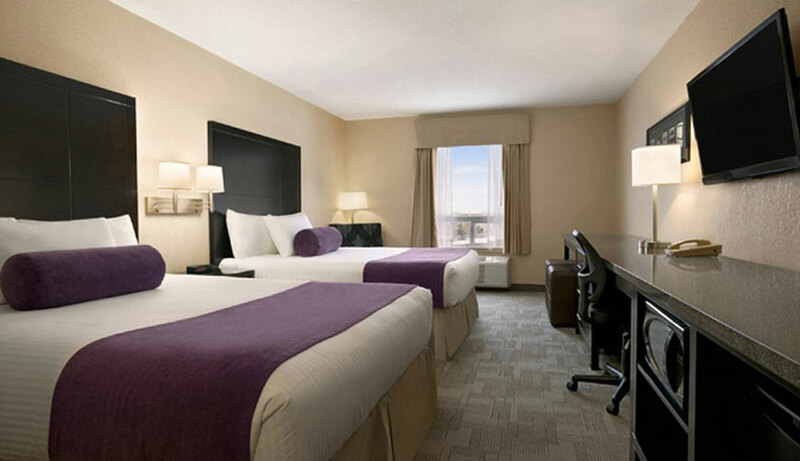 To book your room or suite, contact us or book online for our best rates and let us be the first to welcome you to Red Deer! The bright and spacious Classic Room features your choice of two Queen beds or one King bed, making this room the perfect choice for families or couples on a short visit. This room features a large flatscreen TV and a convenient coffee station with a mini-fridge, microwave and coffee maker as well as complimentary coffee and teas. 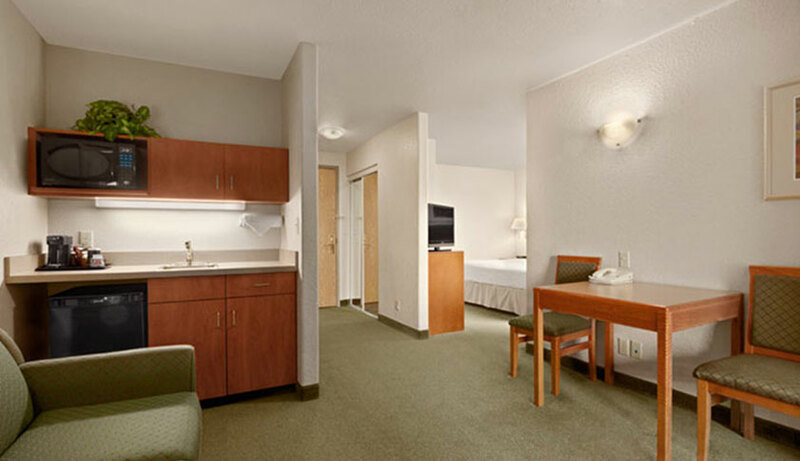 In-suite amenities include a hair dryer, iron and ironing board, free local calls and complimentary high-speed Wi-Fi. Designed for our business guests, the spacious room features your choice of one King or Queen bed, a large work desk with an ergonomic chair, a pull-out couch and an optional jetted bath tub as well as optional secured fourth floor access. In-suite amenities include a TV, a mini-fridge, microwave and coffee maker, complimentary coffee and teas, a hair dryer, iron, ironing board, free local calls and complimentary high-speed Wi-Fi. This open-concept suite is the perfect setting for business travellers, with one King bed, a large work desk with an ergonomic chair, a pull-out couch, two large windows and jetted bath tub. Optional features include a fireplace and secure fourth floor access. Additional in-suite amenities include two TVs, two air conditioners, a mini-fridge, microwave and coffee maker, complimentary coffee and teas, a hair dryer, iron and ironing board, free local calls and complimentary high-speed Wi-Fi. Featuring your choice of one King bed or two Queen beds, our Extended Stay Suite includes a semi-private living area with a pull-out couch and a cozy galley kitchen with dishes and cutlery, a microwave, mini-fridge, sink, and coffee maker. Additional in-suite amenities include two TV’s, complimentary coffee and teas, a hair dryer, iron and ironing board, free local calls and complimentary high-speed Wi-Fi. The room is every kid’s dream! With a KidZone room complete with bunk beds, a TV with a DVD player and movies and a sliding door, and a separate parents’ room with a King bed, this suite features a kitchenette with a mini-fridge, microwave, sink, dishes and cutlery and a coffee maker. Additional in-suite features and amenities include two TV’s, two air conditioners, two bright windows, complimentary coffee and teas, a hair dryer, iron and ironing board, free local calls and complimentary high-speed Wi-Fi. © Days Inn Red Deer. All Rights Reserved.